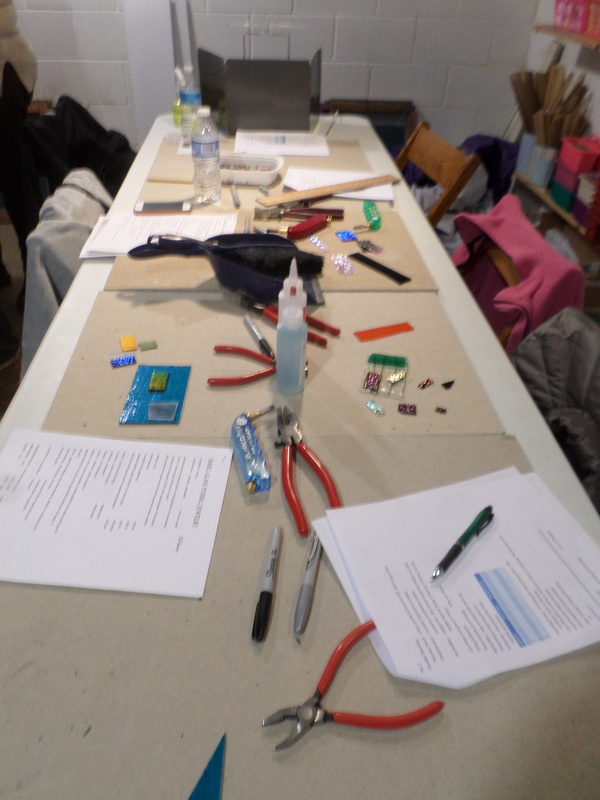 Everyone had a great experience at our recent fused-glass jewelry workshop. 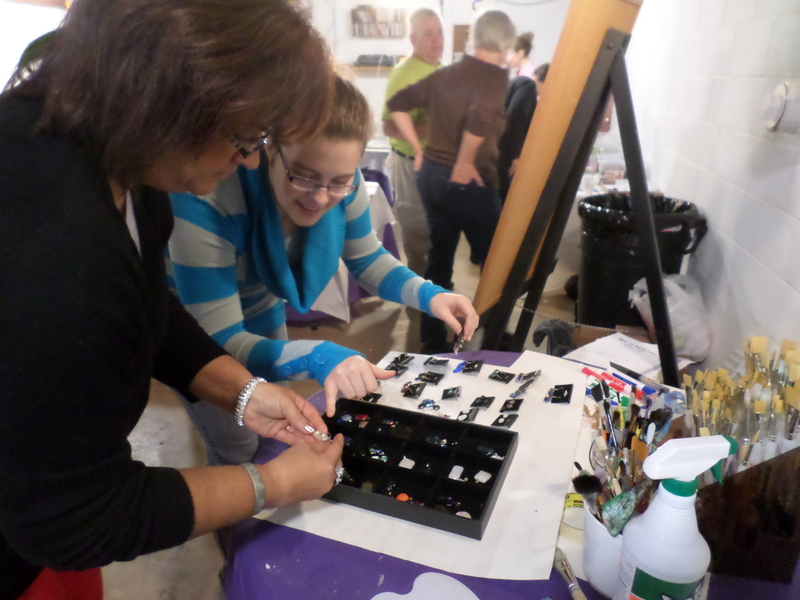 Participants were introduced to fused-glass and learned the basic concepts of the process of creating it. 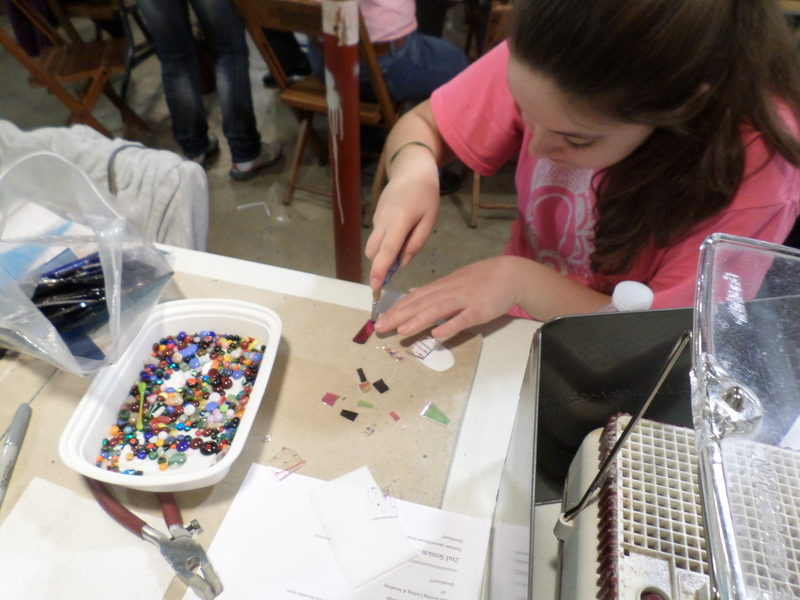 Everyone enjoyed the process of creating their own jewelry. 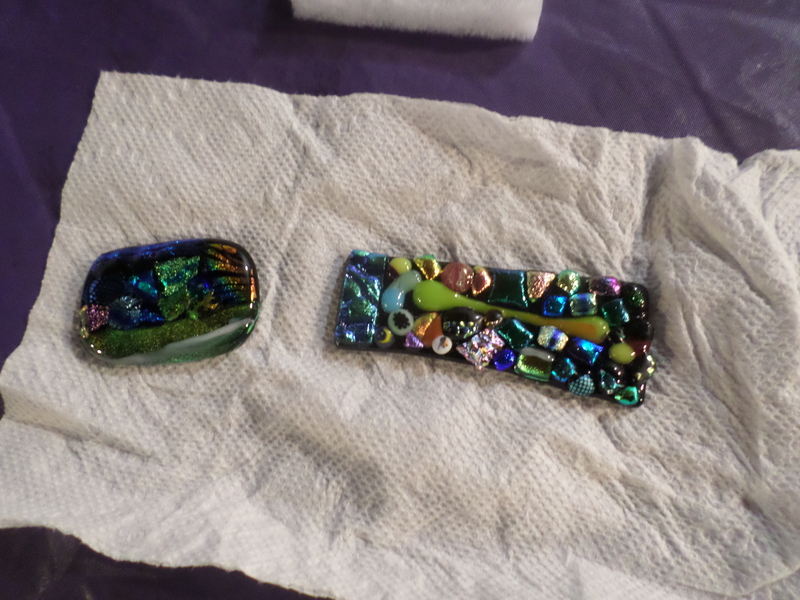 There were many tools to learn to use in the process. 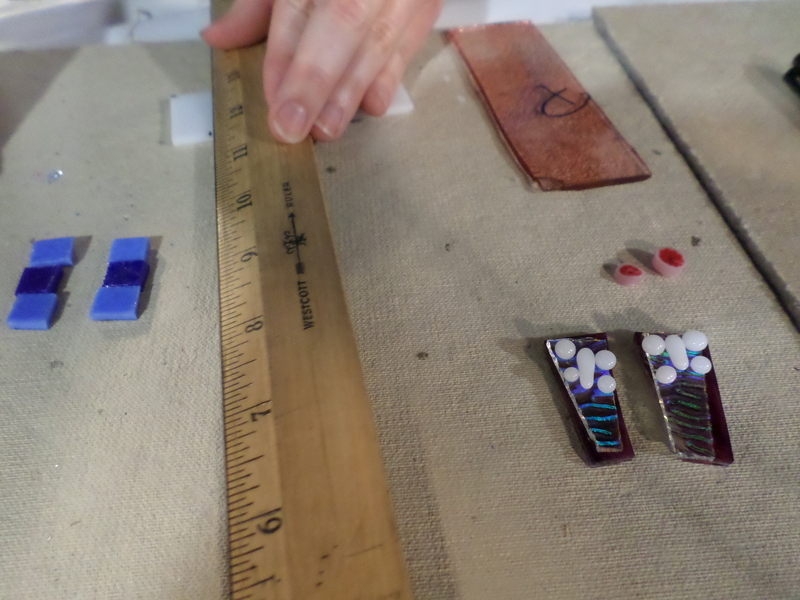 Many different ages worked together creating their own fused-glass. 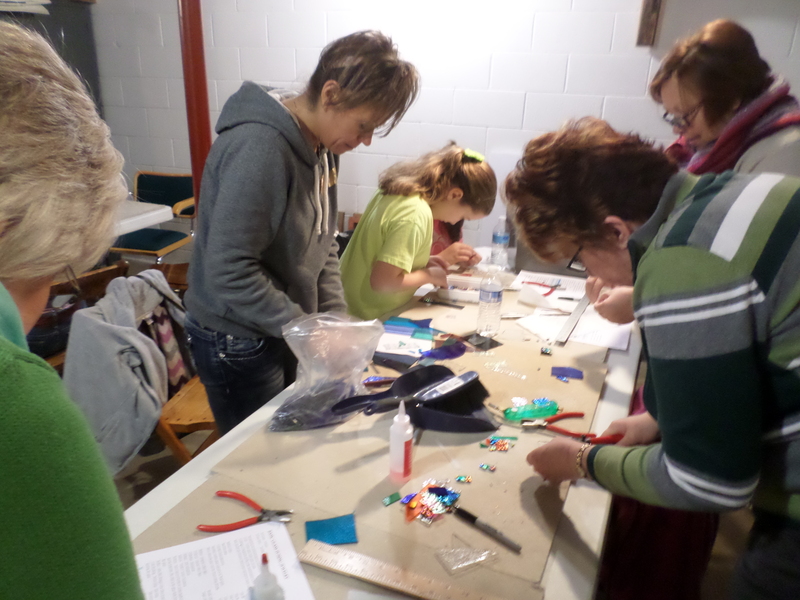 Participants learned to cut glass for their creation. 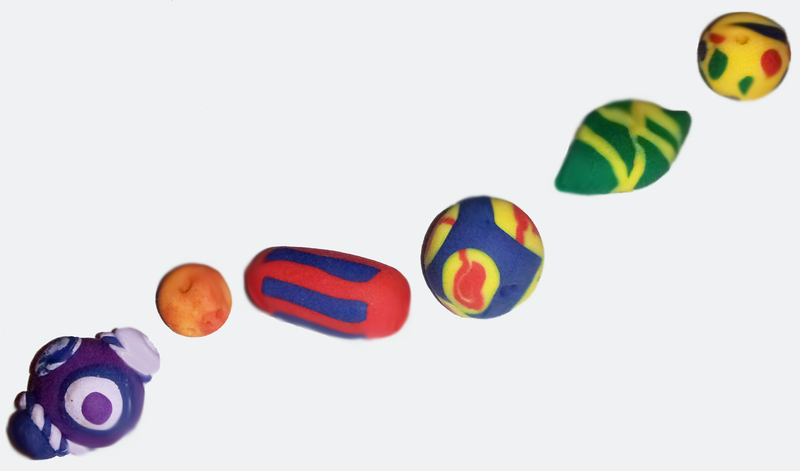 Here are examples of their work after the firing process. 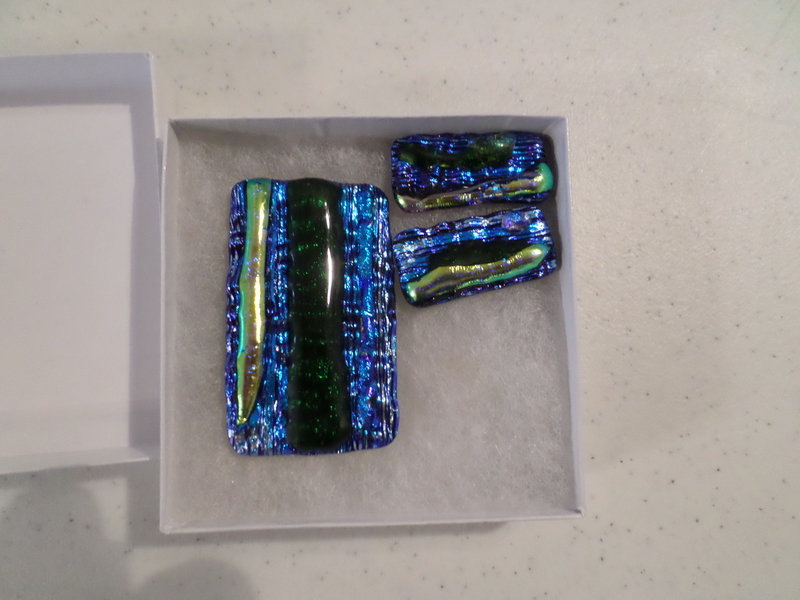 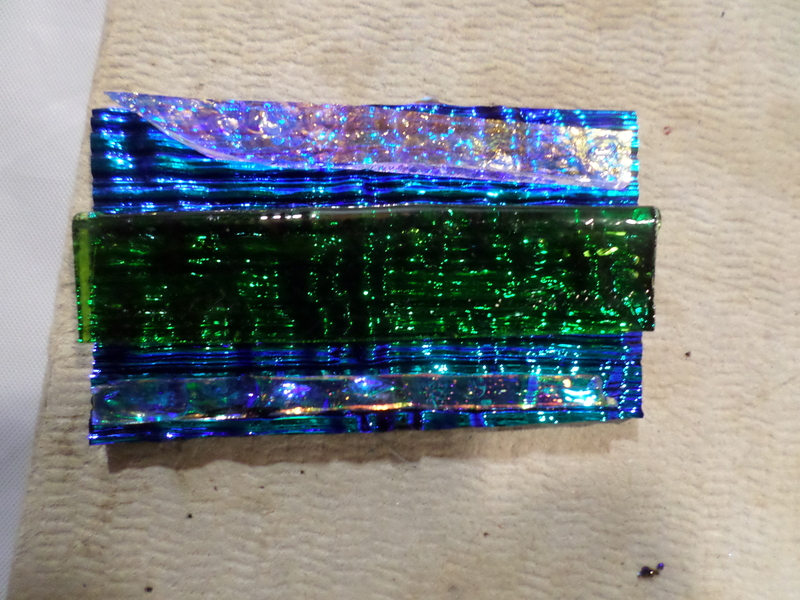 The final step was to put the fittings on their fused-glass. 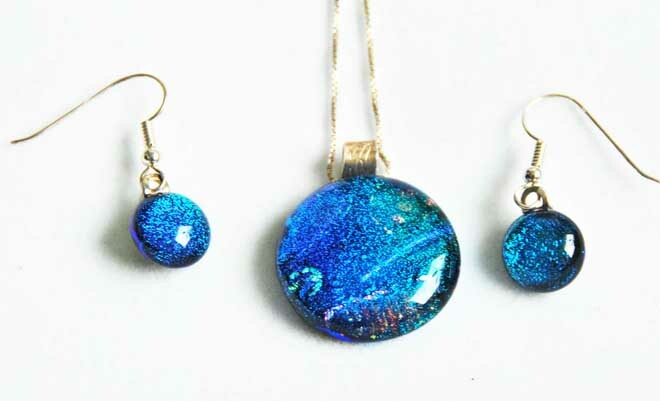 Here are some examples of the jewelry. 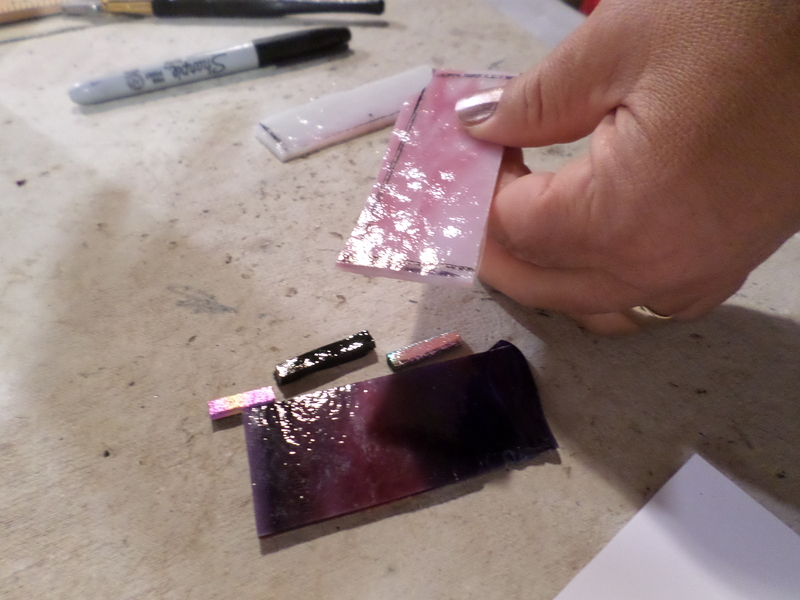 Maybe you can join us for our next fused-glass workshop in the autumn of 2015. 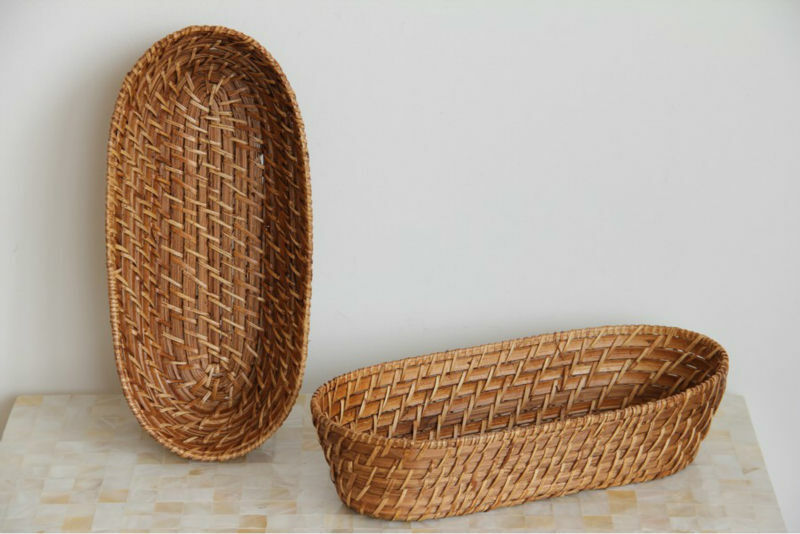 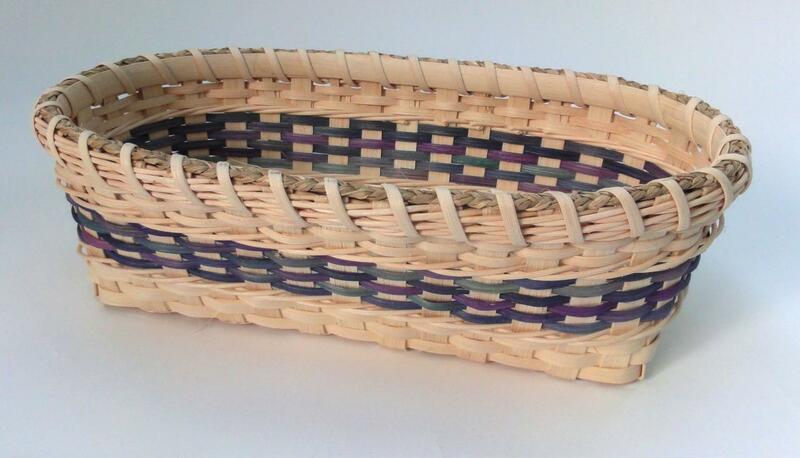 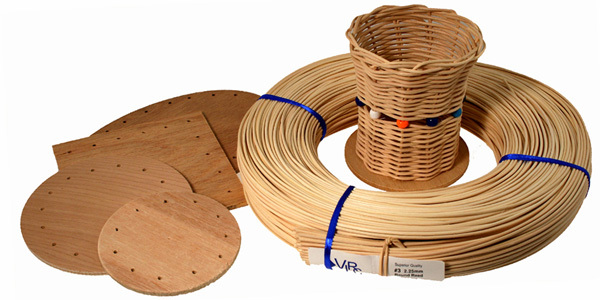 “How to make an intermediate bread basket”. 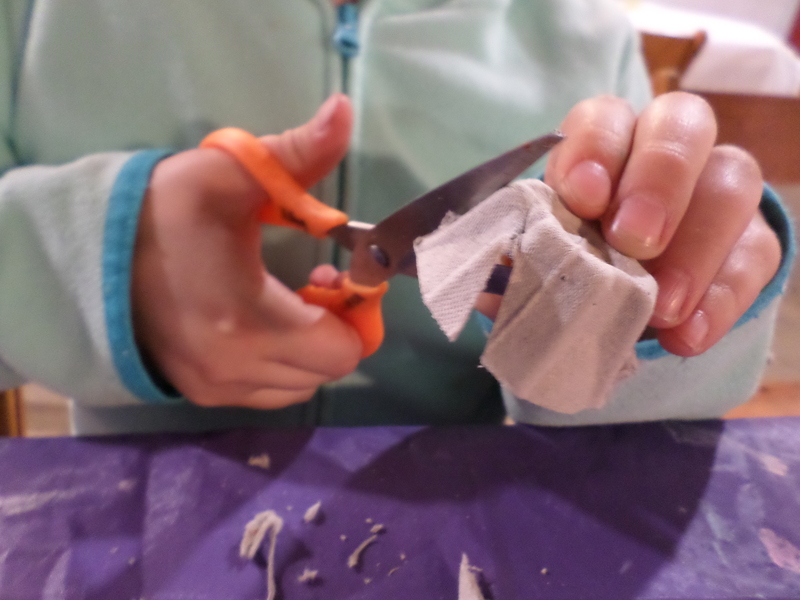 9 a.m. – 1 p.m. All materials provided. 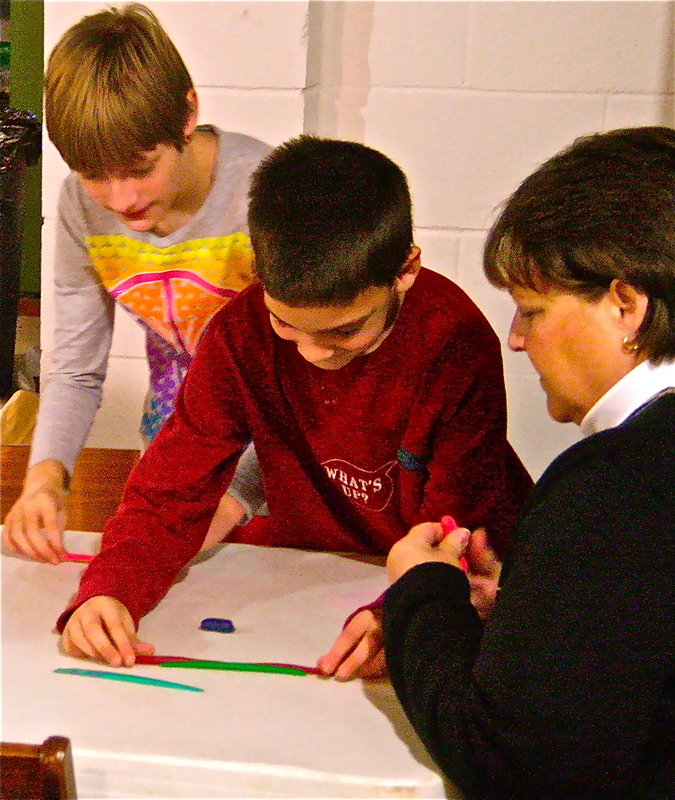 Class size minimum 5 maximum 8. 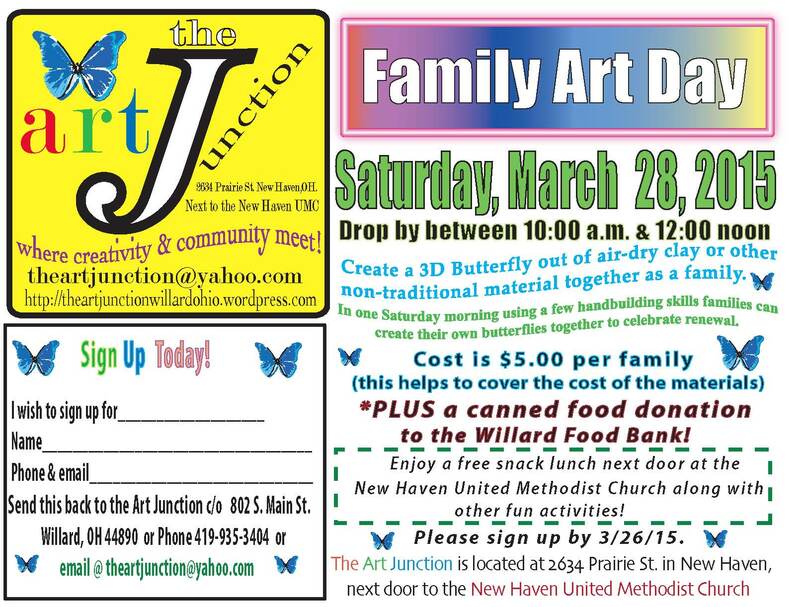 Bring a lunch, snacks and drinks. 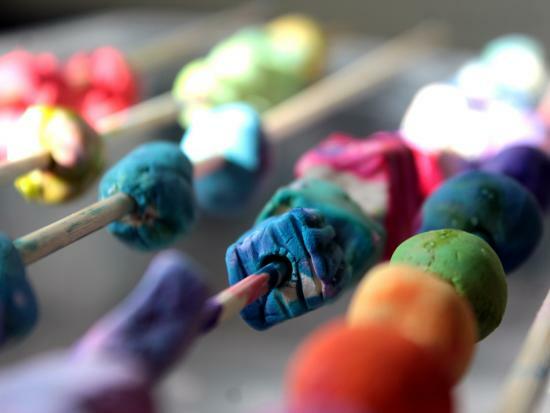 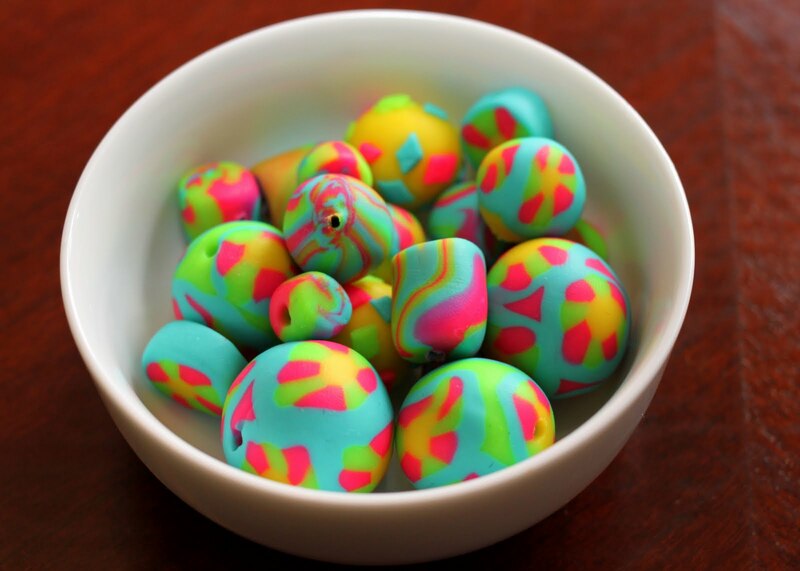 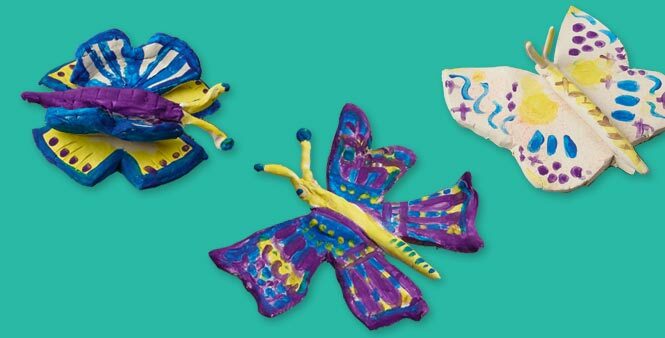 Learn to create your own clay beads with polymer-based clays with various colors and designs. 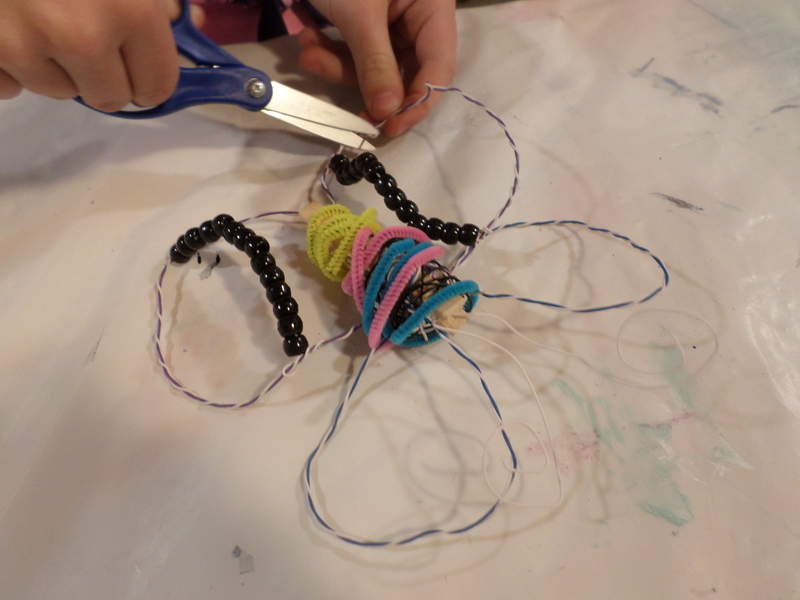 Create a necklace or bracelet for yourself or as a gift! 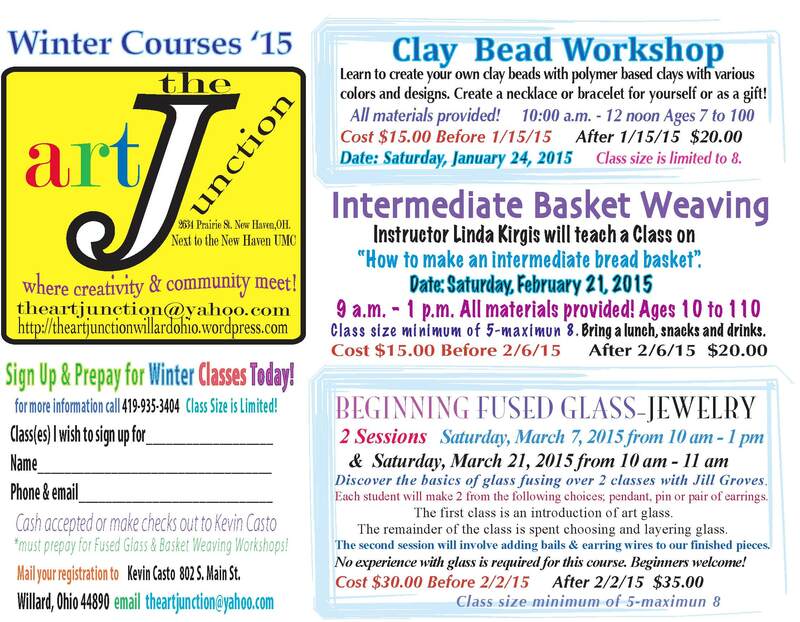 Date: Saturday, January 24, 2015 Class size is limited to 8. 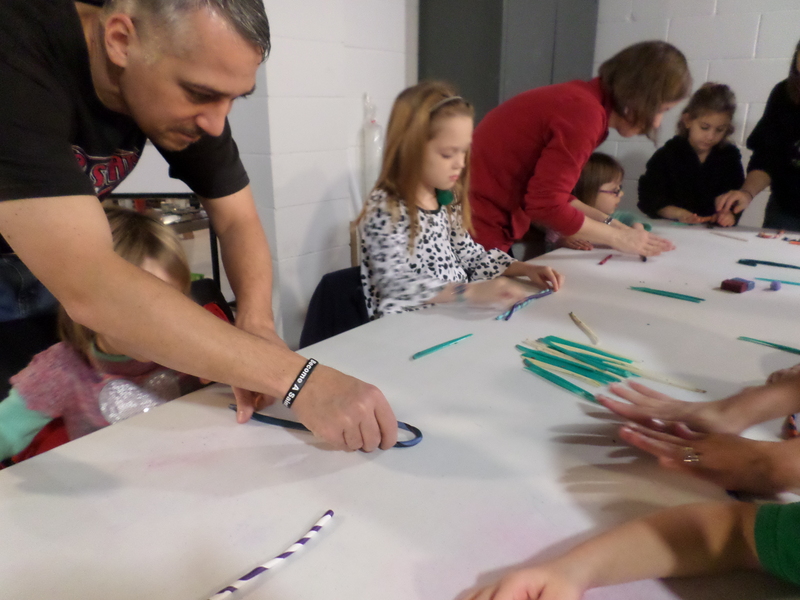 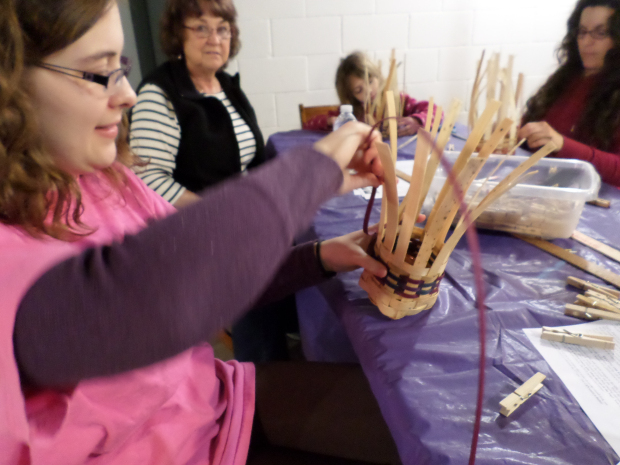 We had a great time at Family Art Day this December. 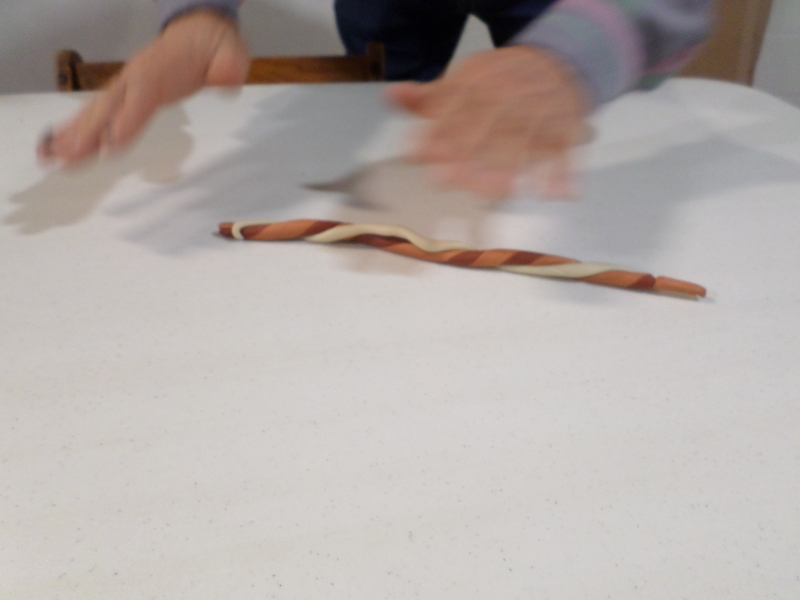 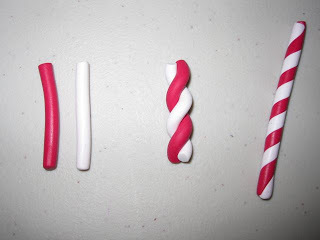 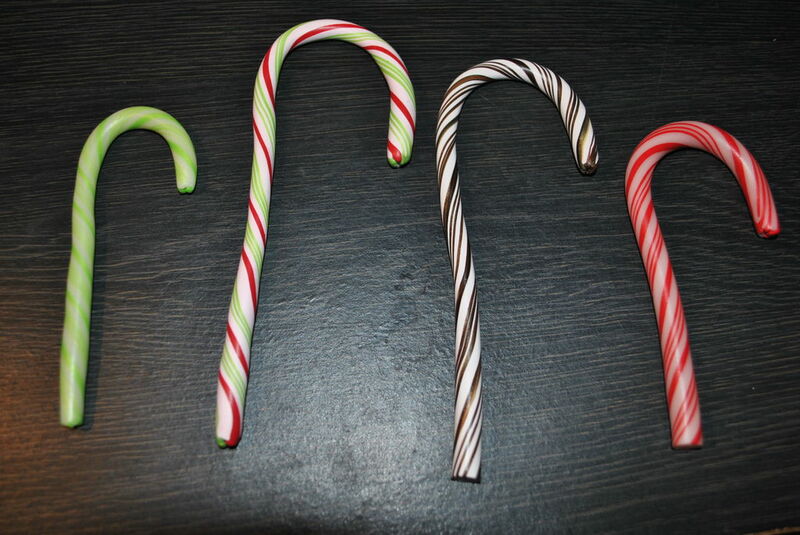 We had many families participate in creating sculpey candy canes. 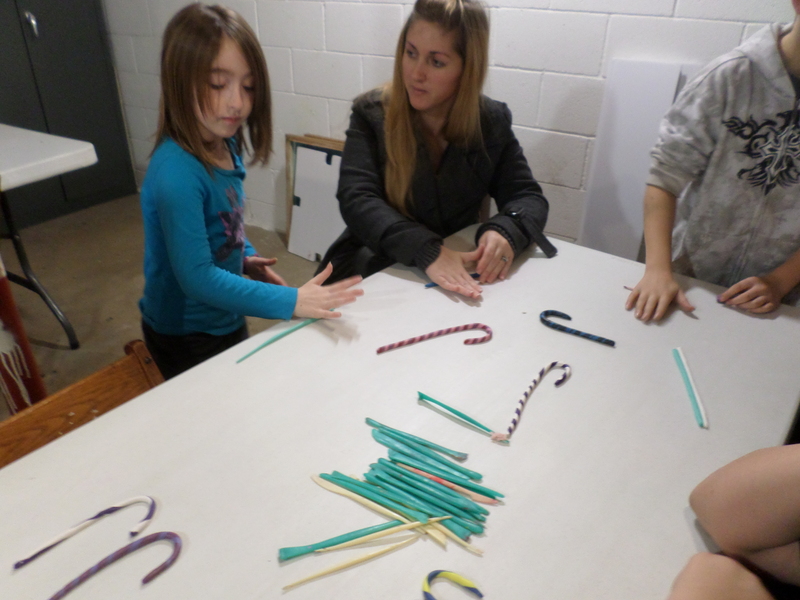 Everyone had fun picking their favorite colors to create clay candy canes. 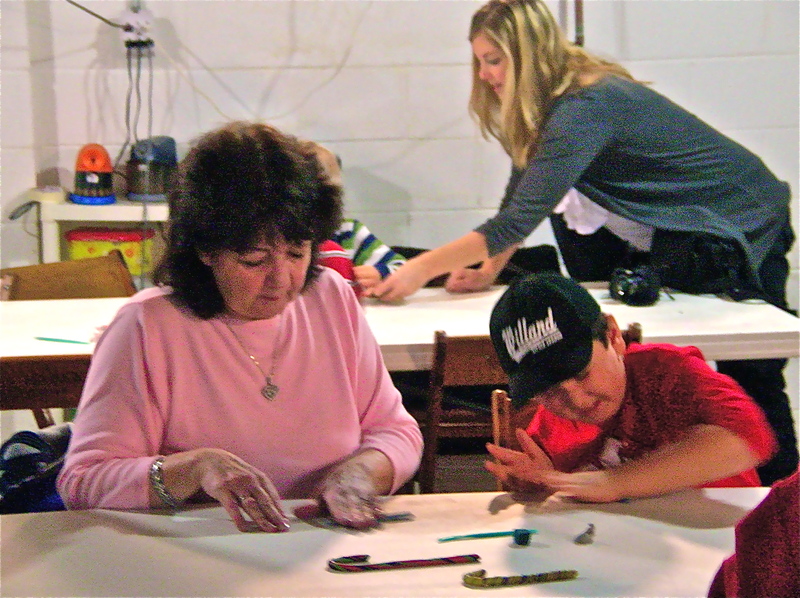 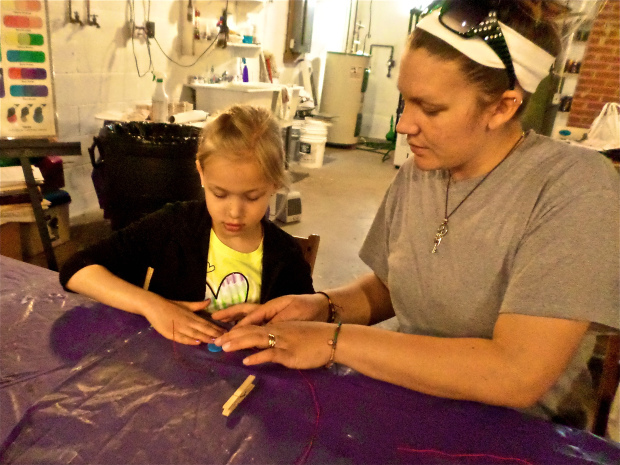 Families of all ages learned how to mix colors and roll the clay into a coil to create their decoration. 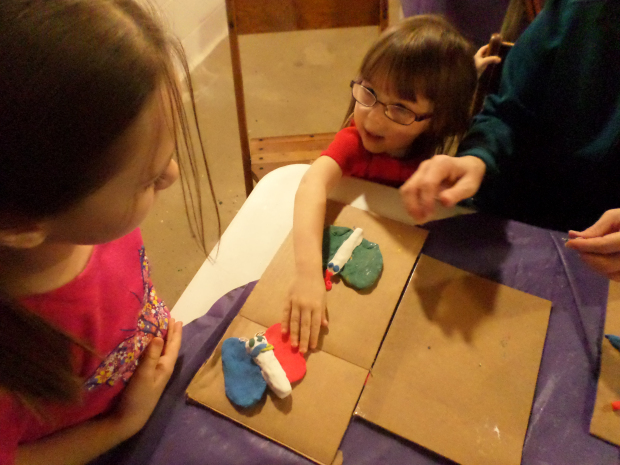 Everyone enjoyed the hands-on process of working with clay. 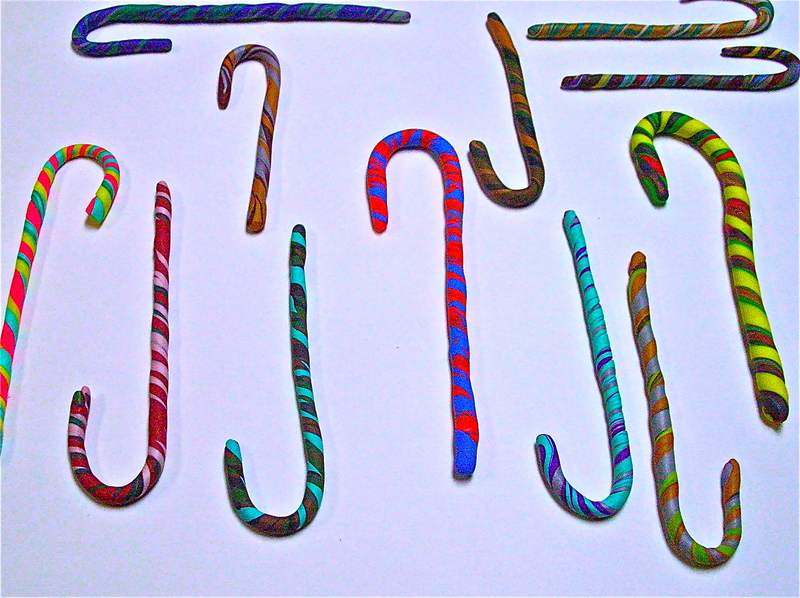 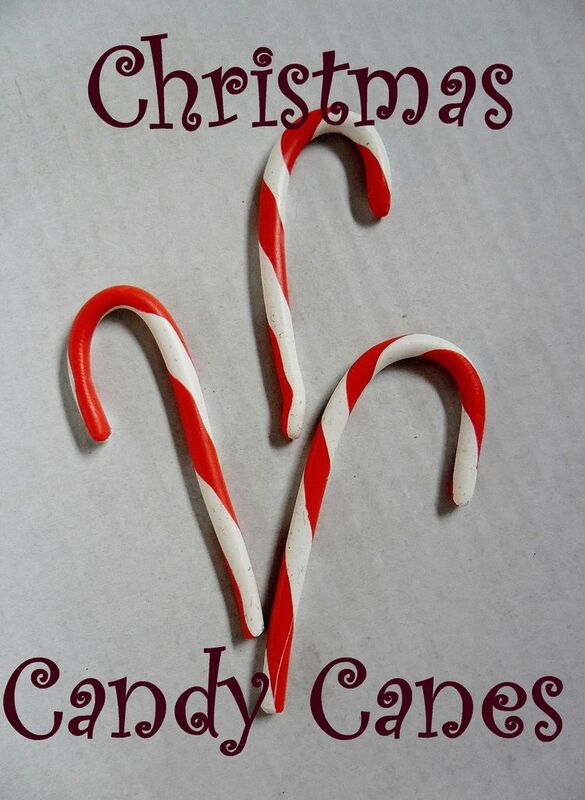 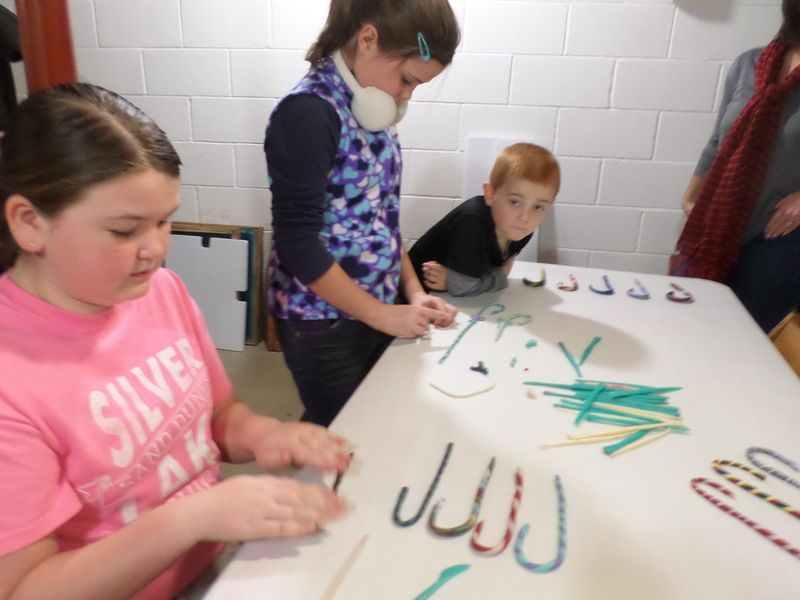 We created over 75 clay candy canes on Family Art Day. 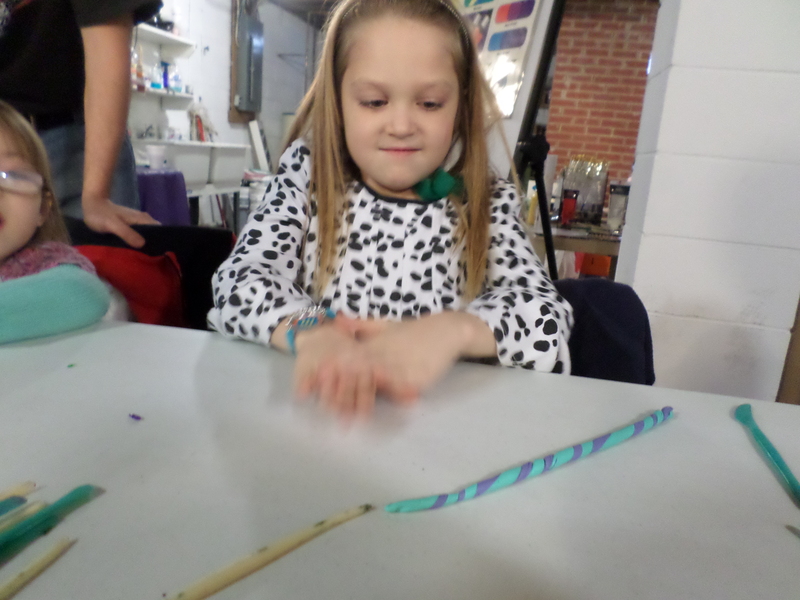 Everyone joined in the creative process in the studio. 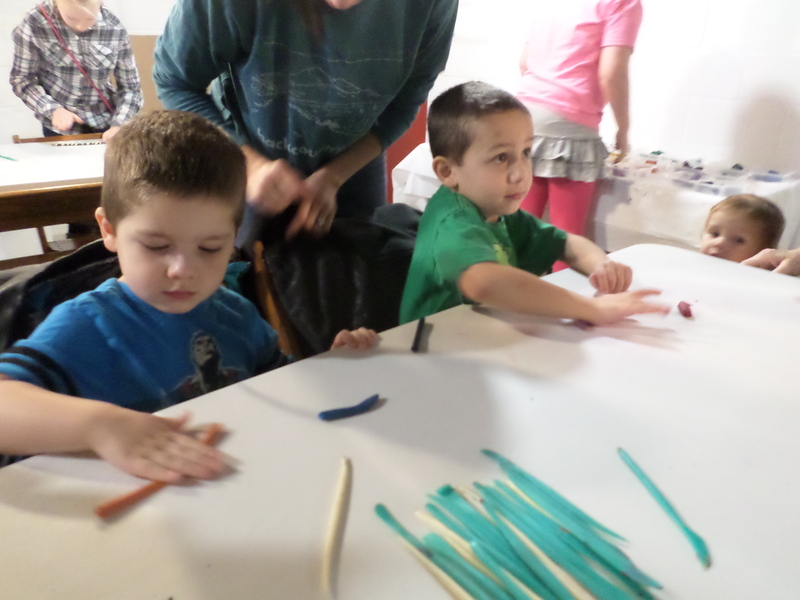 Maybe you can join us for our Spring Family Art Day at the end of March this coming spring 2015. 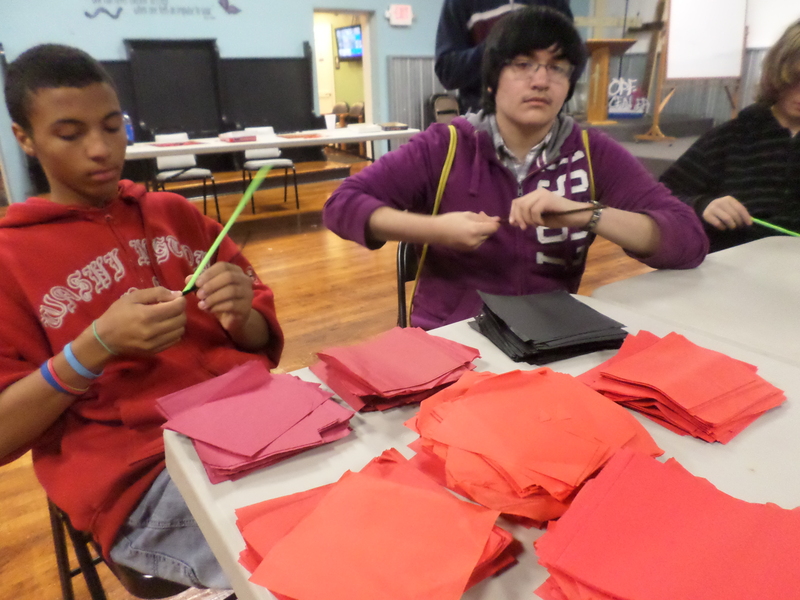 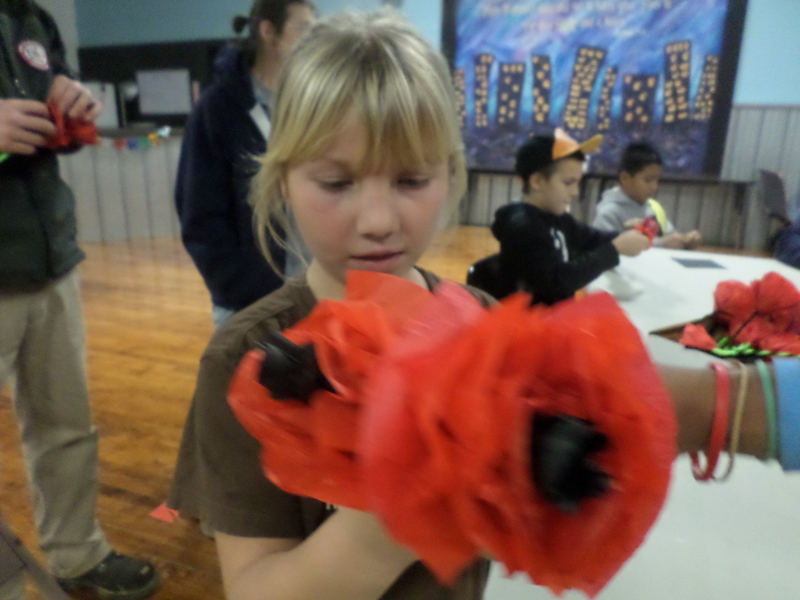 Students at the Willard Hope Center created poppies for their Veterans Day Dinner in November. 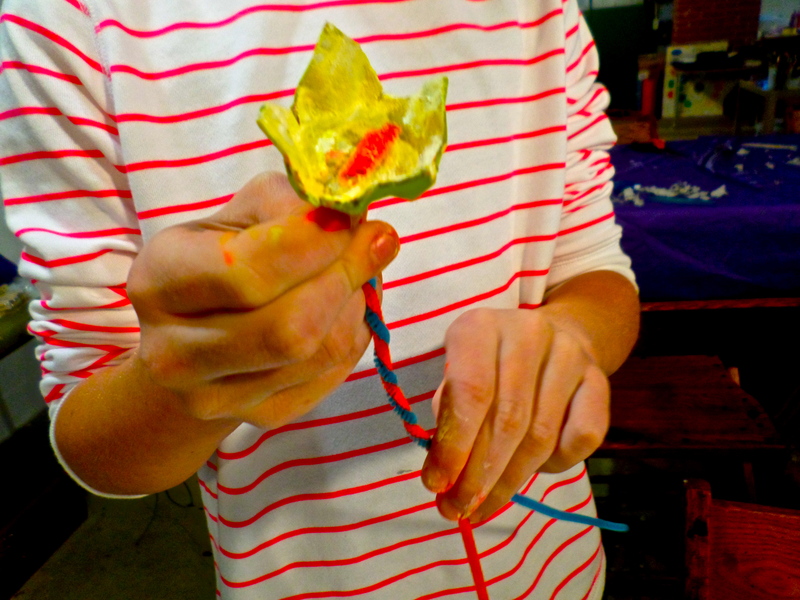 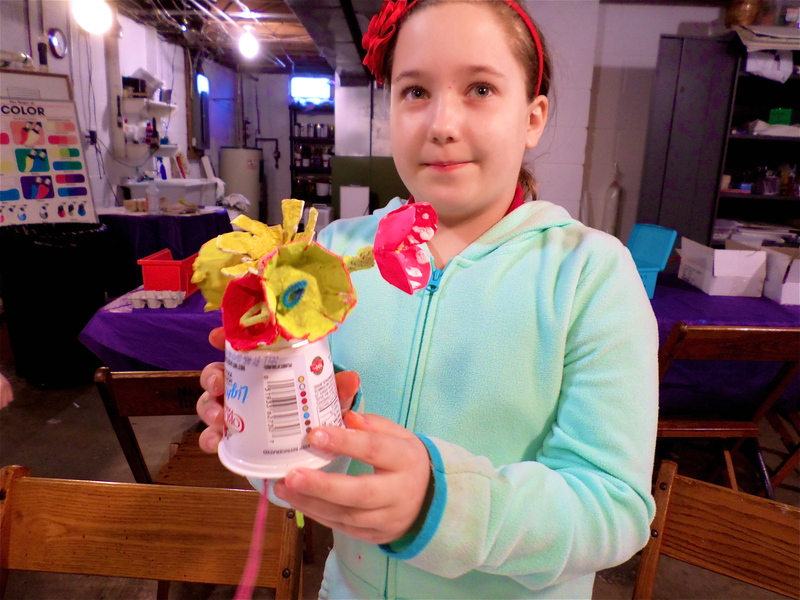 The first step was to create the stem of the poppy by twisting two pipe cleaners together. 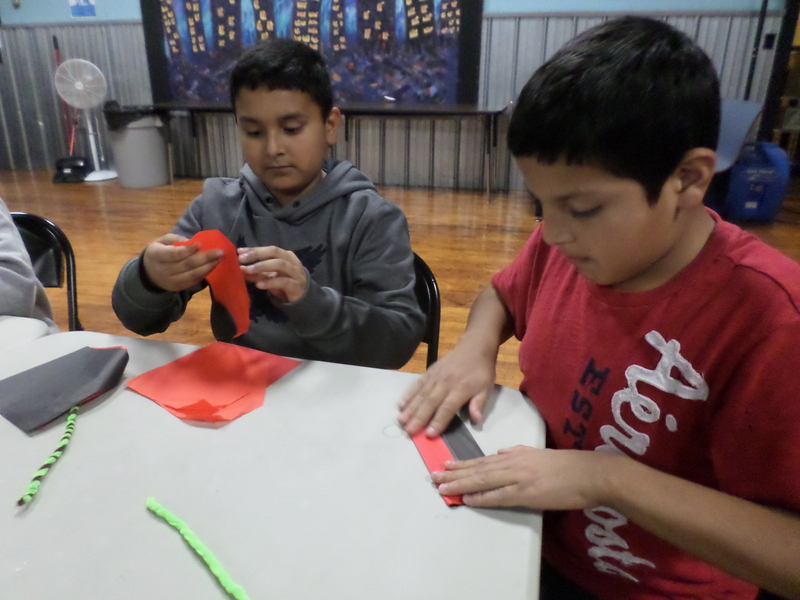 The next step was to create a fan fold with five sheets of tissue paper. 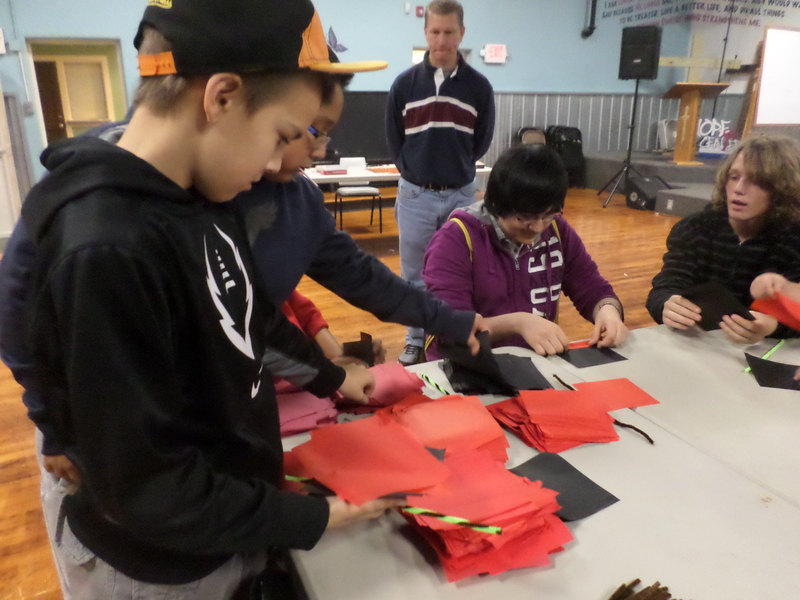 Students picked four red and one black sheet of tissue paper to create their poppy. 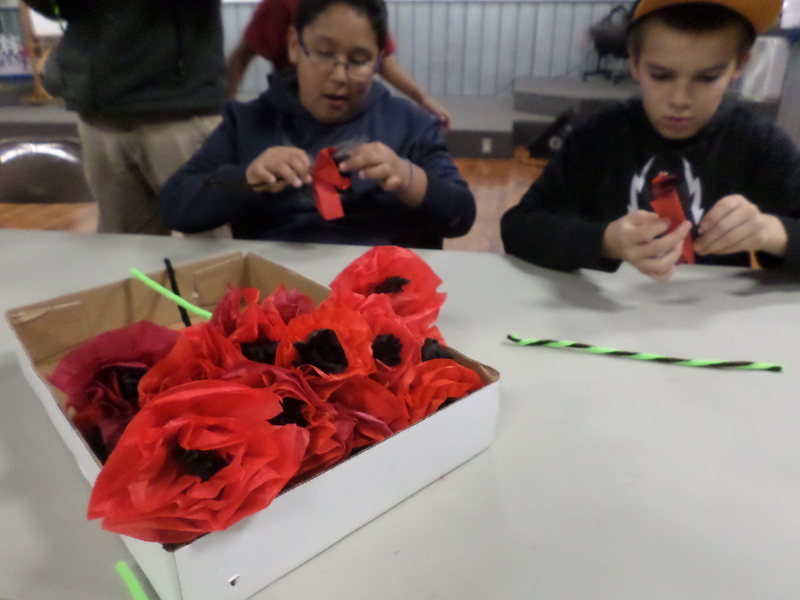 Everyone worked hard to create enough poppies for each veteran attending the dinner. 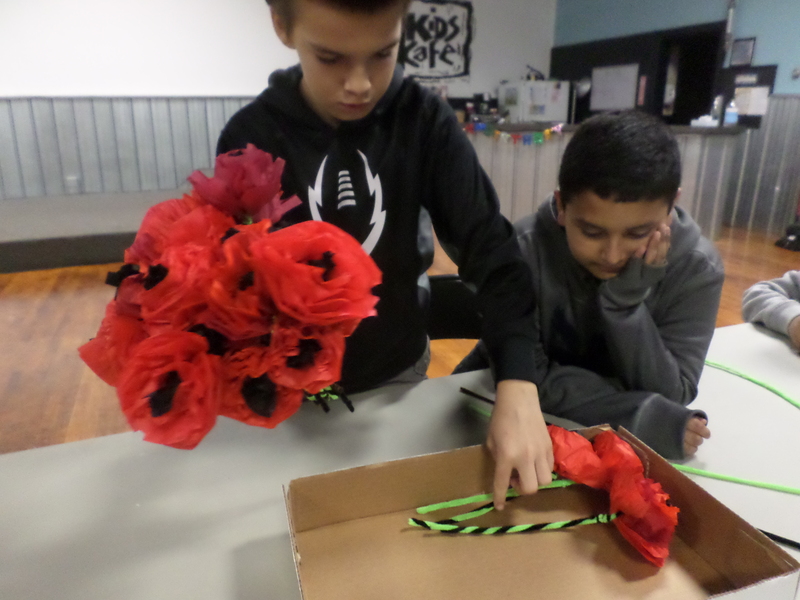 Everyone learned why poppies have become a symbol of Veterans Day. 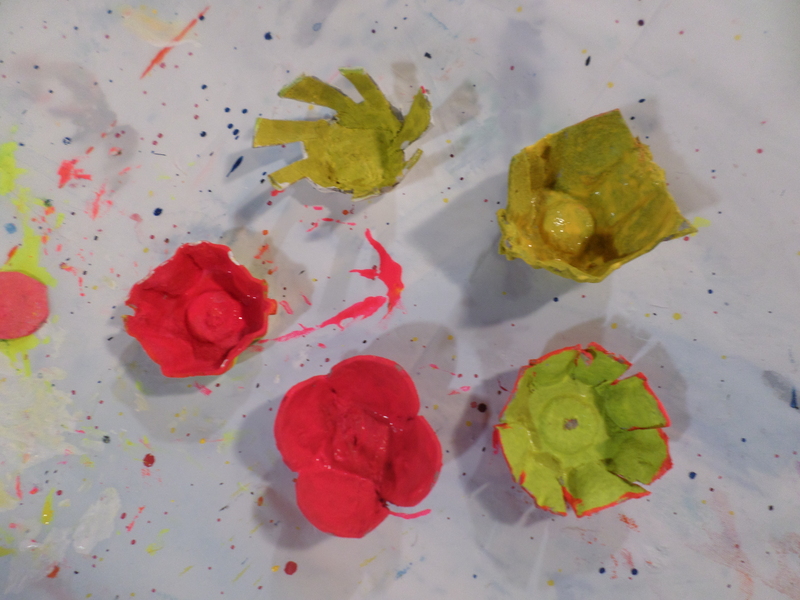 The poppy has a long association with Veterans Day. 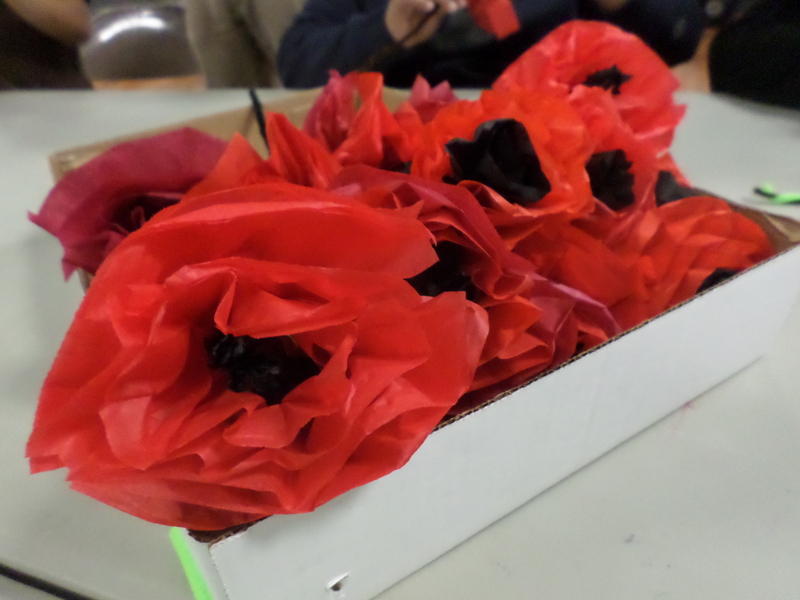 But how did the distinctive red flower become such a potent symbol of our remembrance of the sacrifices made in past wars? 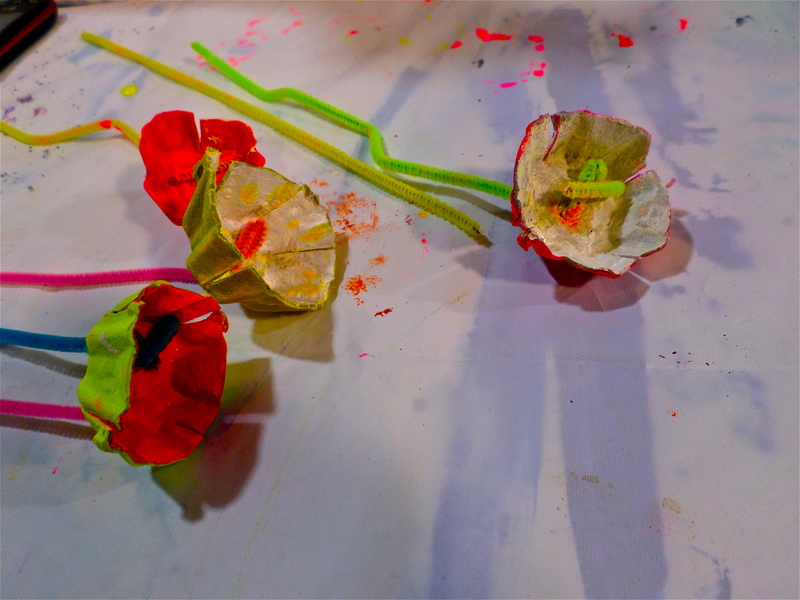 Scarlet corn poppies grow naturally in conditions of disturbed earth throughout Western Europe. 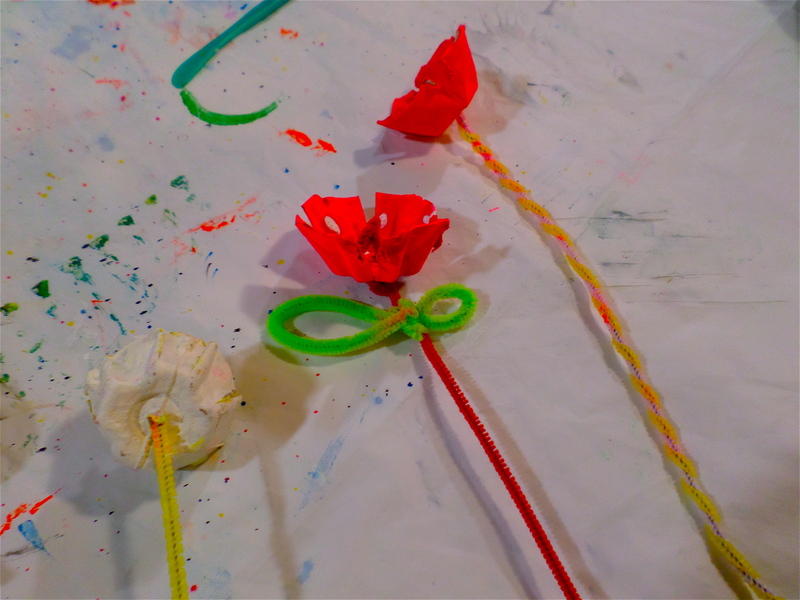 In late 1914 the fields of Northern France and Flanders were ripped open as World War One raged through Europe’s heart. 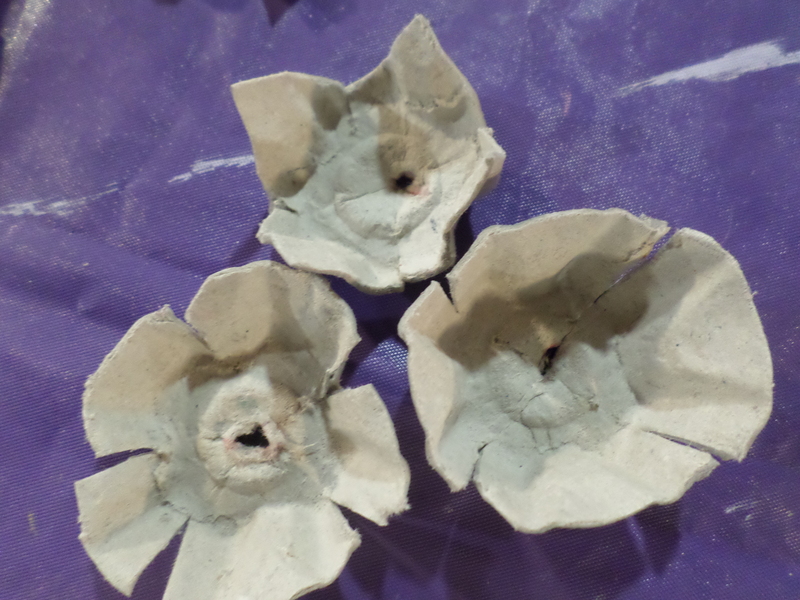 Once the conflict was over the poppy was one of the only plants to grow on the otherwise barren battlefields. 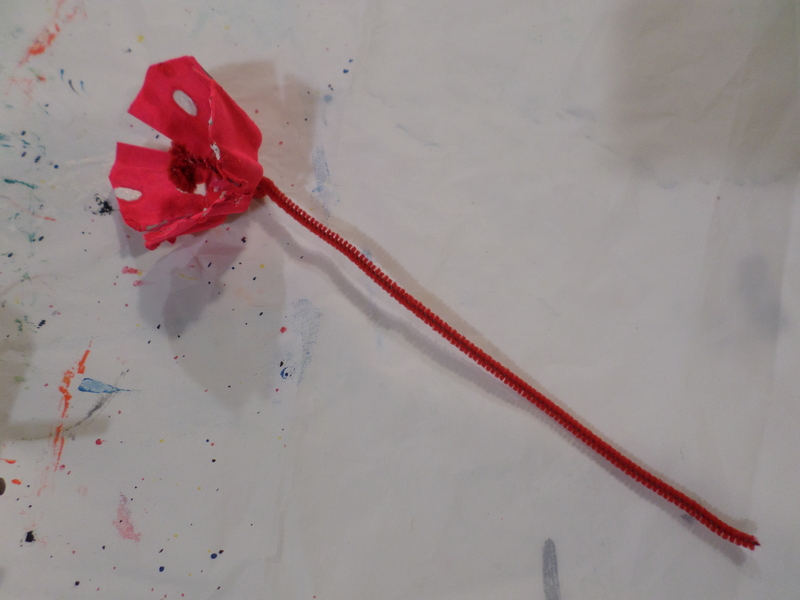 The significance of the poppy as a lasting memorial symbol to the fallen was realized by the Canadian surgeon John McCrae in his poem “In Flanders Fields.” The poppy came to represent the immeasurable sacrifice made by his comrades and quickly became a lasting memorial to those who died in World War One and later conflicts. 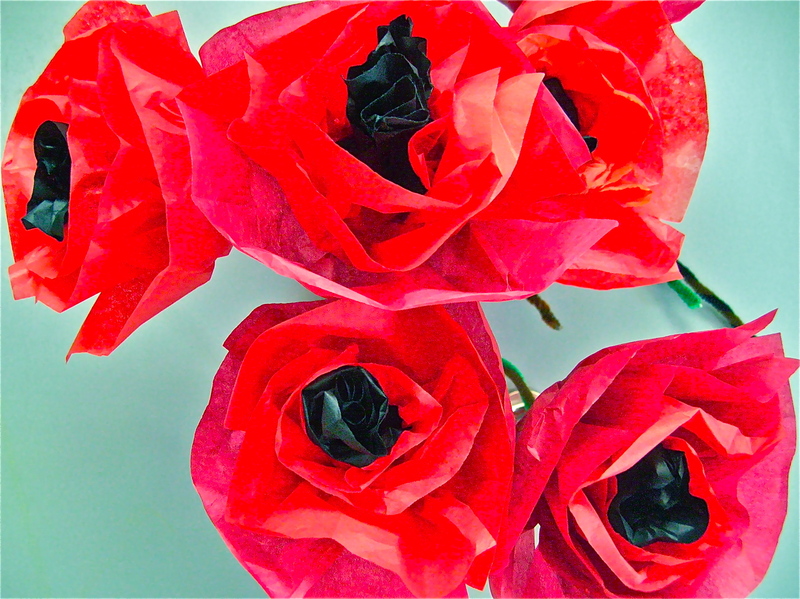 Wearing of poppies has been a custom since 1924 in the United States. 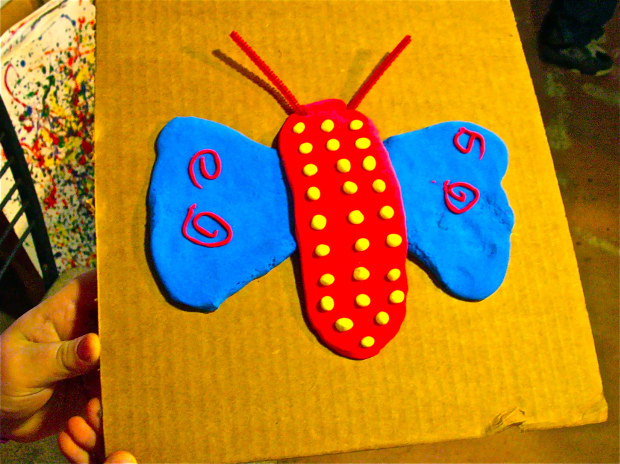 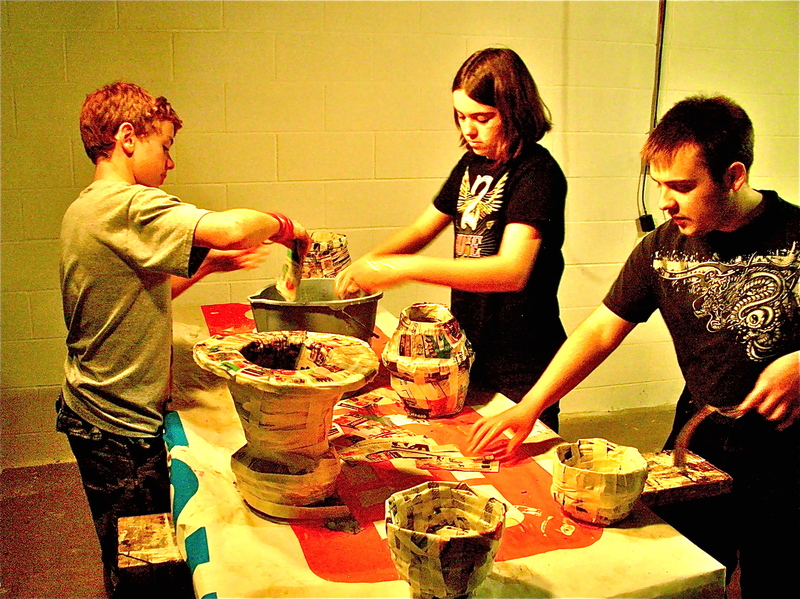 In the spring of 2012 we offered a class in paper mache pottery. 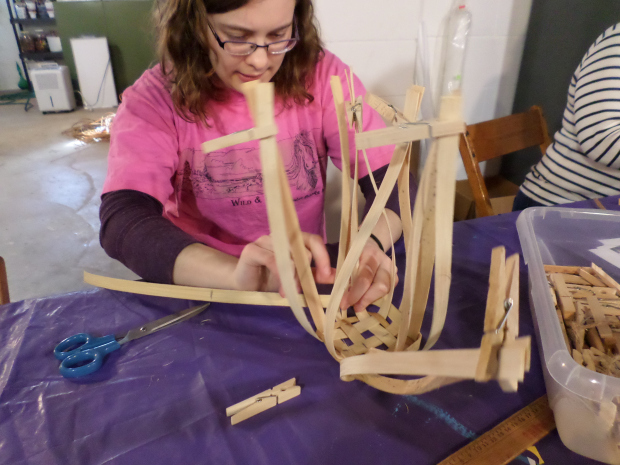 The students had a great time exploring a non-traditional method of building using unique materials. 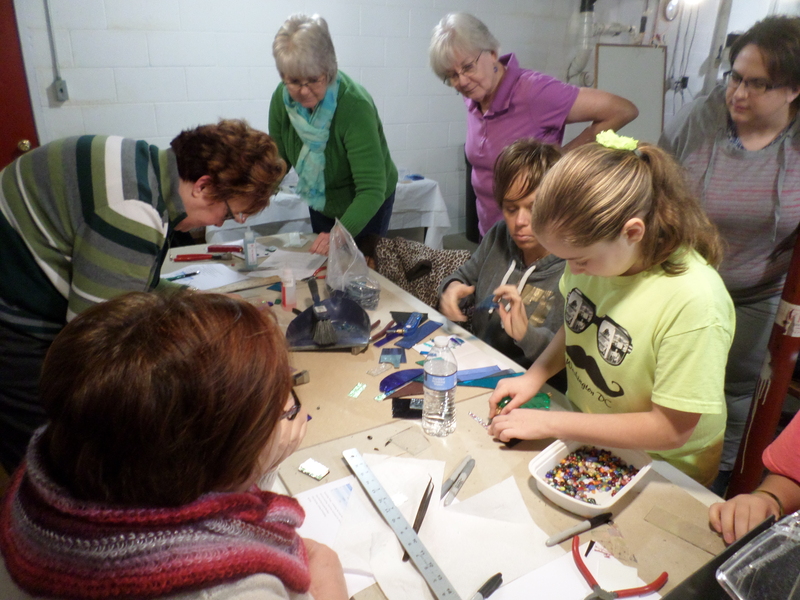 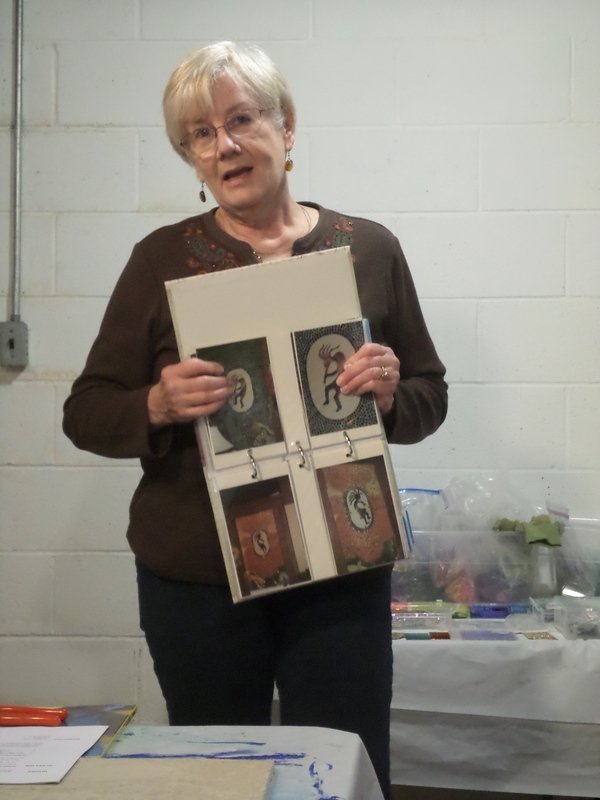 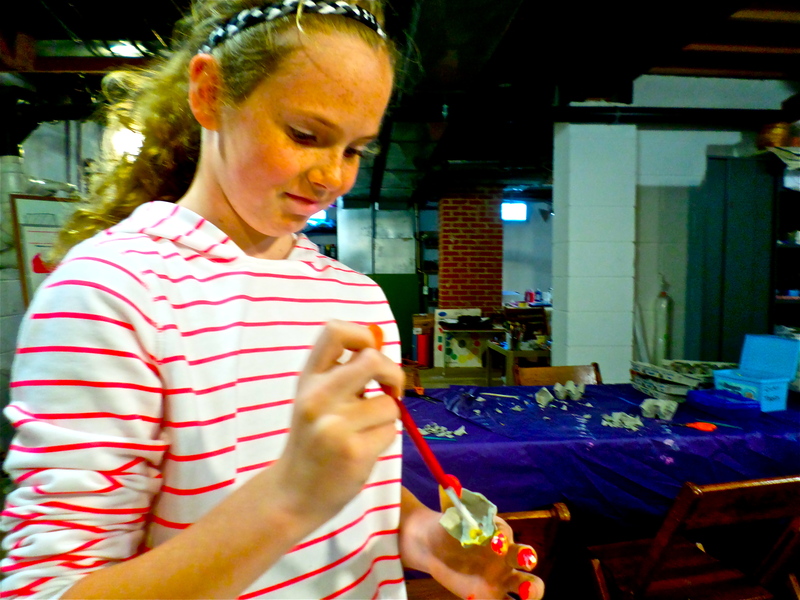 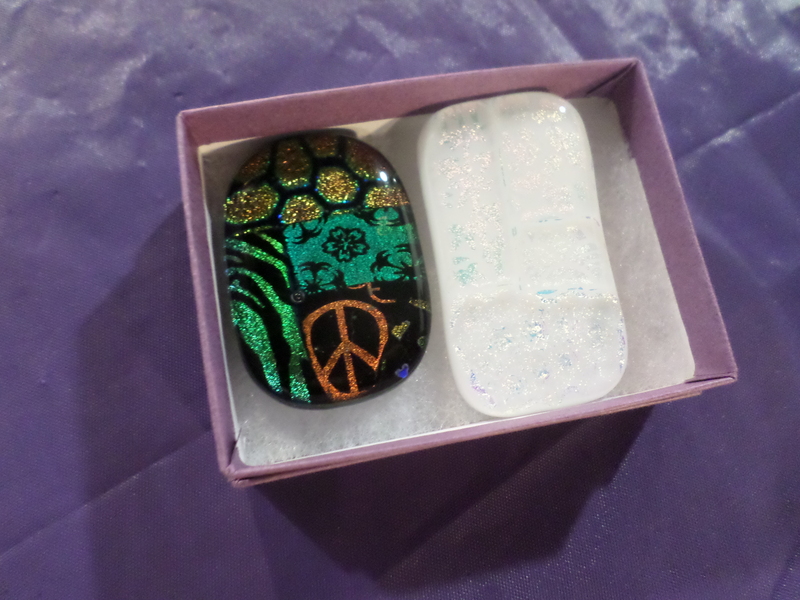 The Art Junction hosted our first fused glass workshop this fall. 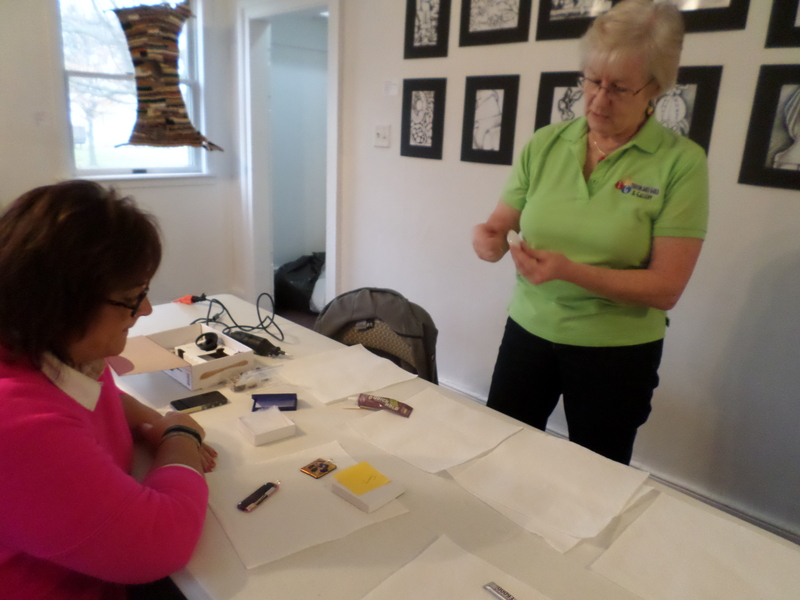 Jill Groves led this wonderful workshop, instructing the participants on how to create jewelry. 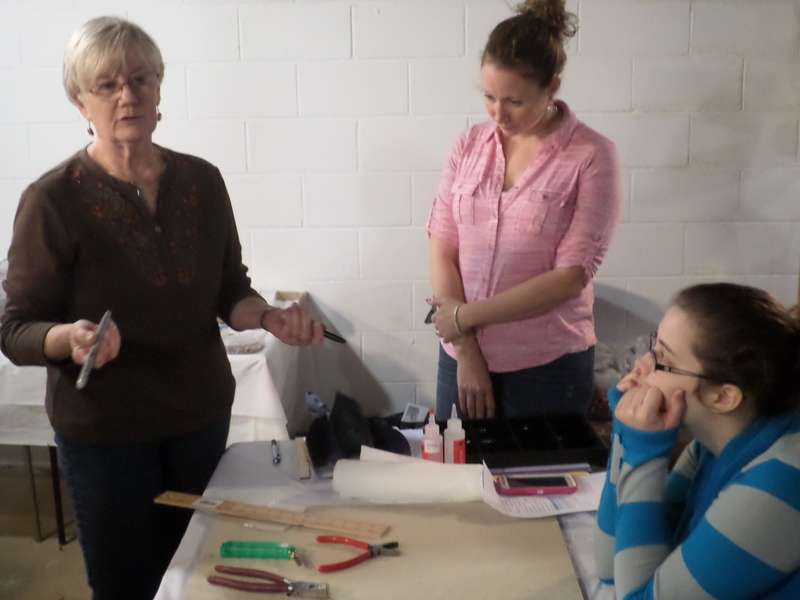 Jill demonstrated the process as she showed the class how to begin. 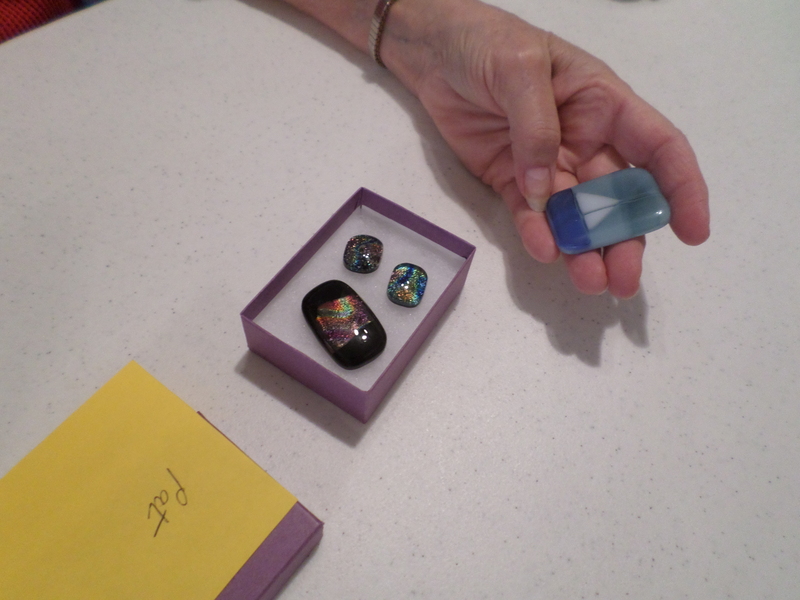 Students viewed examples of Jill’s work as they decided what type of jewelry they wished to create. 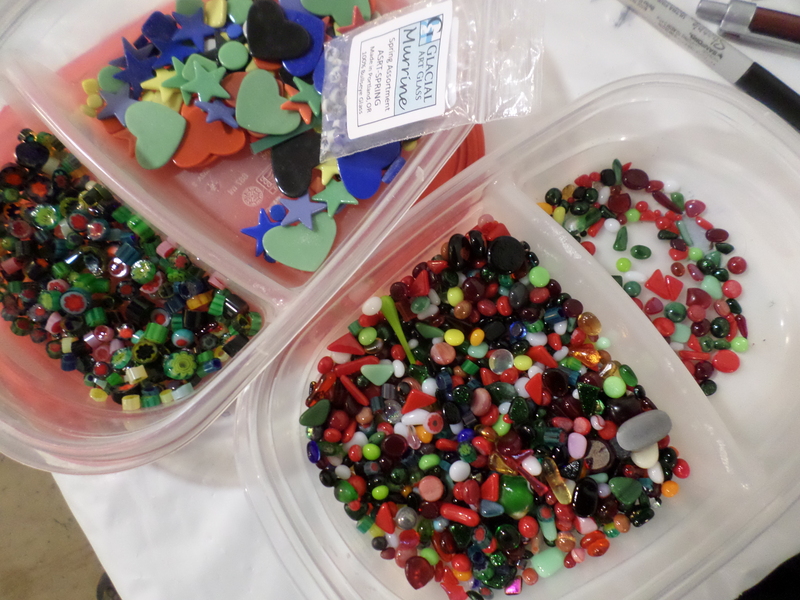 There were many types and colors of glass to choose from. 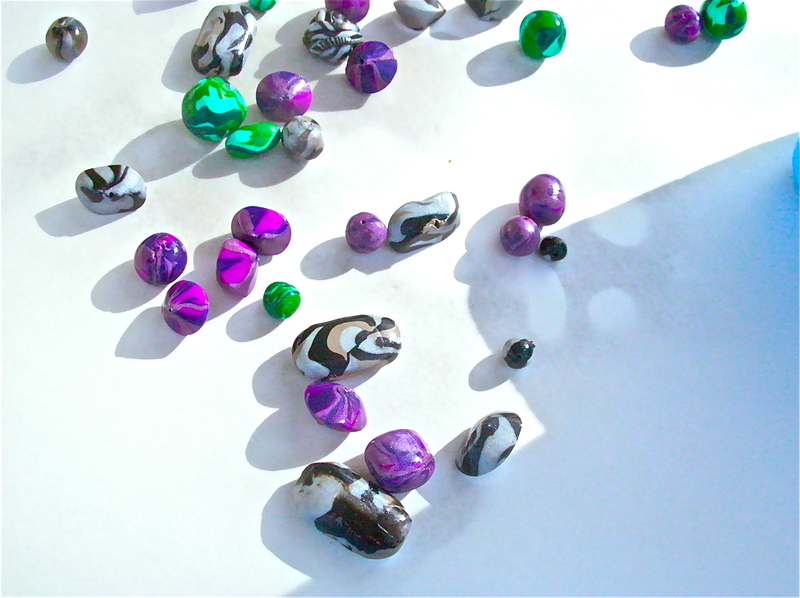 The creative process began as students cut their glass. 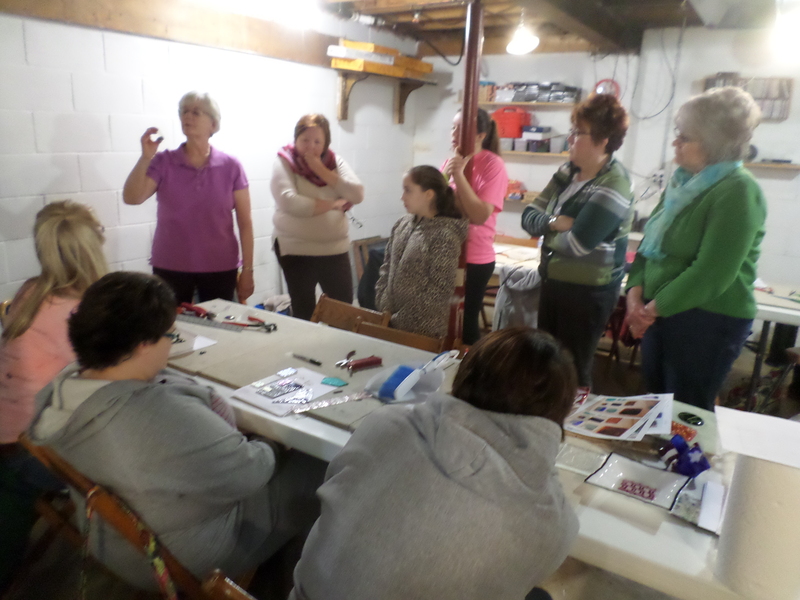 There were many wonderful ideas explored in this workshop. 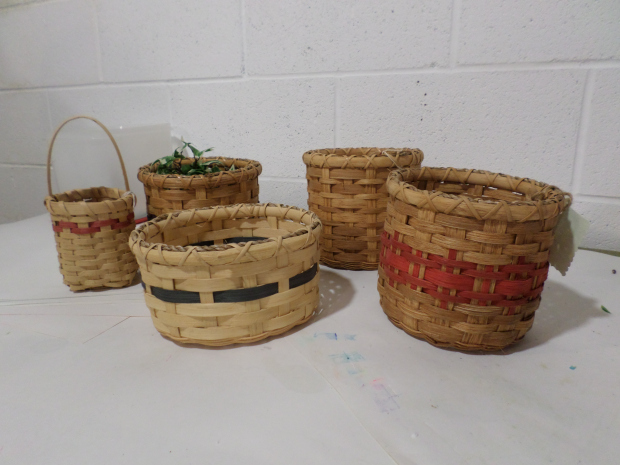 A project before the firing process. 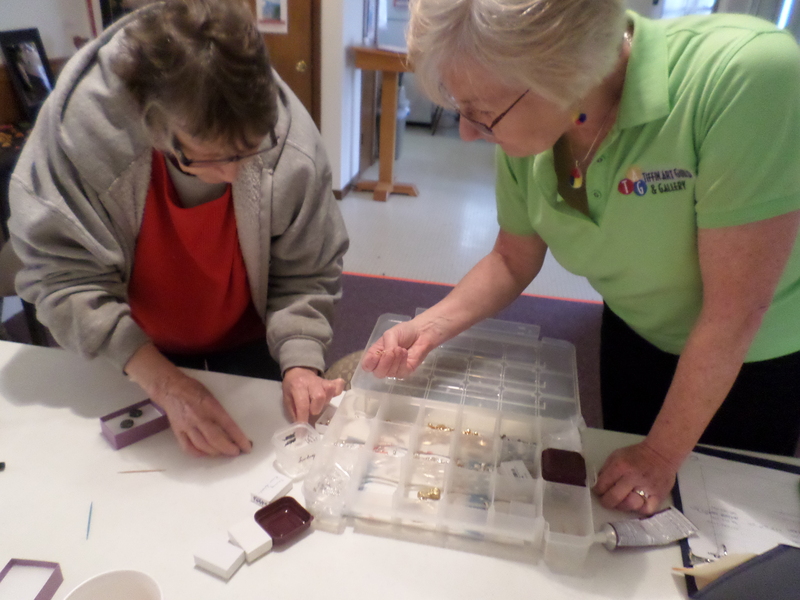 Looking at the finished jewelry. 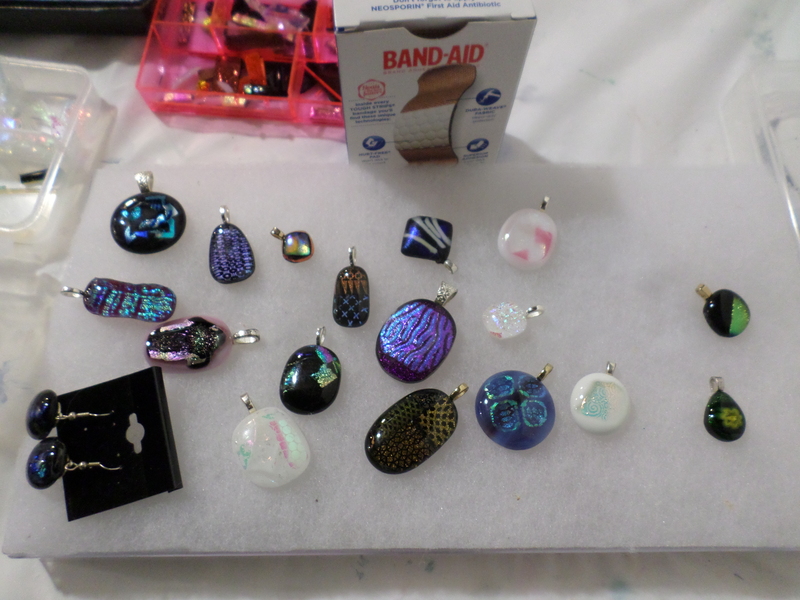 The last step was to put backings on the necklaces and ear rings. 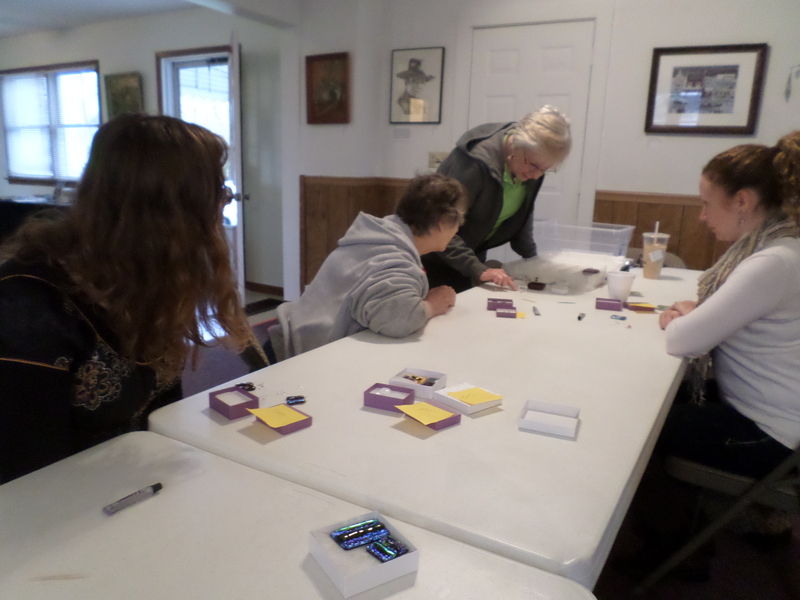 This was a wonderful workshop where everyone was able to put their own personalized touches on their own fused glass jewelry. 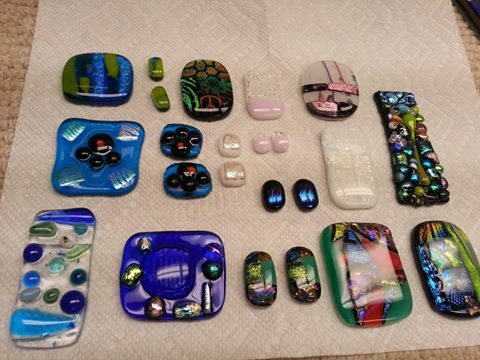 I hope you can join us for our next fused glass workshop in March. 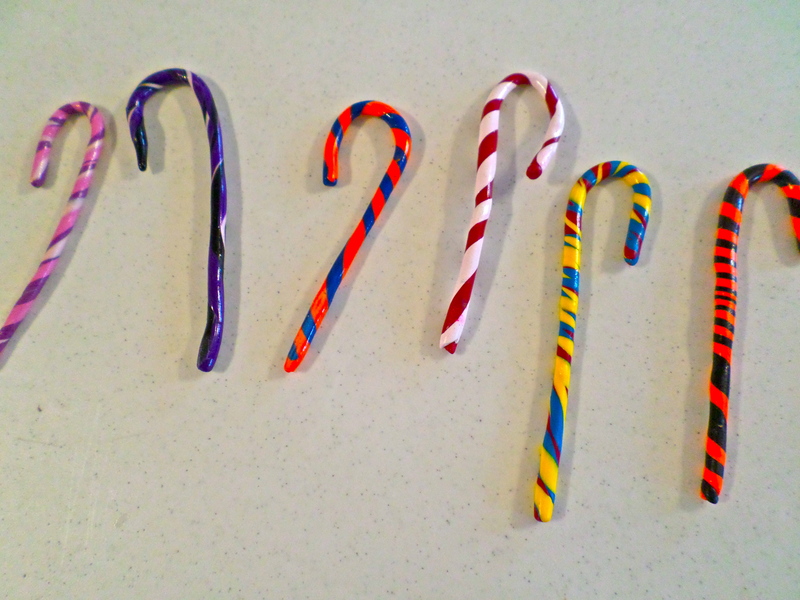 drop by the Art Junction between the hours of 10:00 a.m. – 12:00 noon and create your own Candy Cane Christmas tree ornament out of sculpey clay. 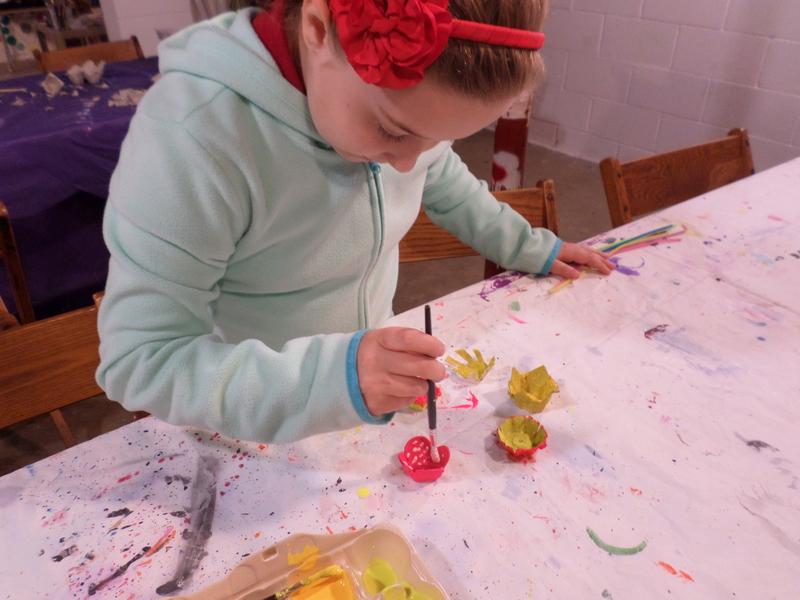 In one Saturday morning using a few hand-building skills families can create their own Christmas tree ornament together to celebrate the season. 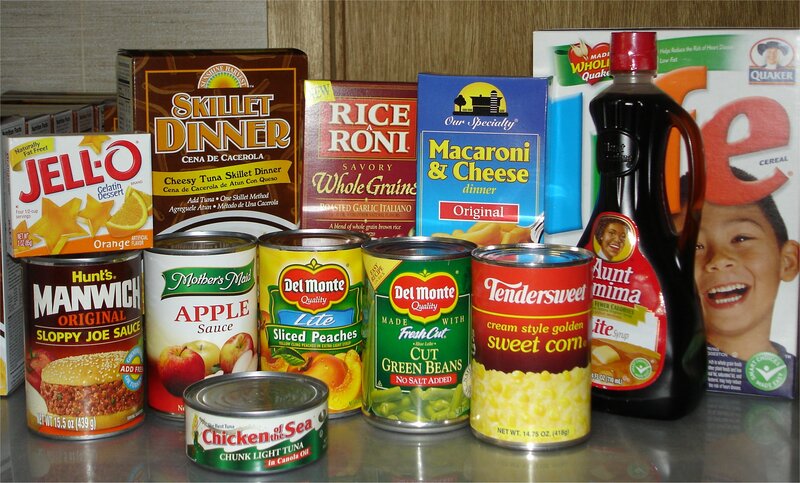 *and a canned food donation to the Willard Food Bank! 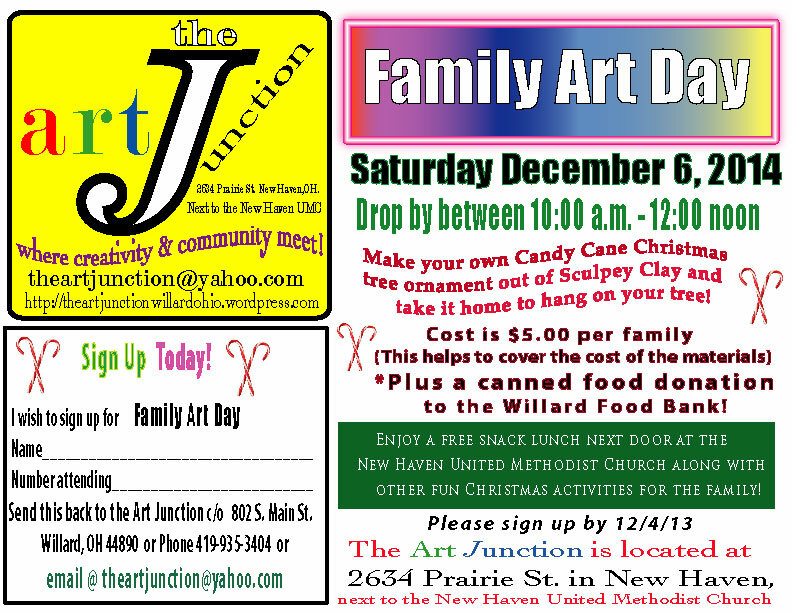 Plus you can enjoy a free snack lunch and Christmas activities next door at the New Haven United Methodist Church at Family Art Day.